Shipt Review: Is This Grocery Delivery Service Worth It? For many of us, doing the grocery shopping is one of those weekly tasks we dread. We wind up putting it off until the very last minute, only resorting to shopping when there’s absolutely no food left in the house. This usually means we deal with crowded stores and long lines when we finally give in and head to the grocery store. Wouldn’t it be nice if you could avoid the hassle of grocery shopping? Instead of navigating busy aisles and waiting in long checkout lines, wouldn’t it be easier if someone else could do that for you? That’s exactly what Shipt has set out to do. Today we’re reviewing their grocery delivery service to see if it’s worth signing up for. We’ll cover our personal experience with Shipt — everything from how to sign up all the way to what placing an order is like and more. Launched in the summer of 2014, Shipt was founded with one primary mission. They wanted a way to simplify the lives of others. Instead of dealing with navigating the grocery store on your own and waiting in long lines, you can let a Shipt shopper pick-up your food for you. All you have to do to get started is sign-up for a Shipt membership. 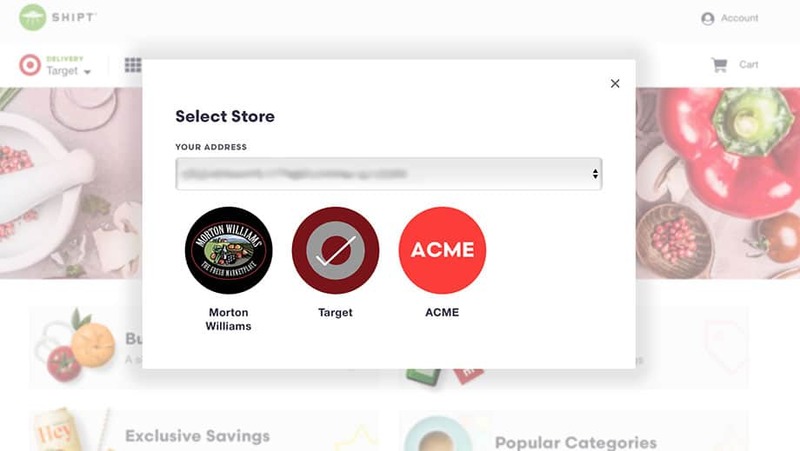 Using their app or website, you can begin selecting all of the items on your grocery list. Then, you choose your payment option, pick a delivery time, and place your order. The best part is that you’re still in control when you’re shopper is picking up your groceries. You can communicate via text to make adjustments and get updates. For instance, if something you requested isn’t available, your Shipt shopper can text you with alternative options. 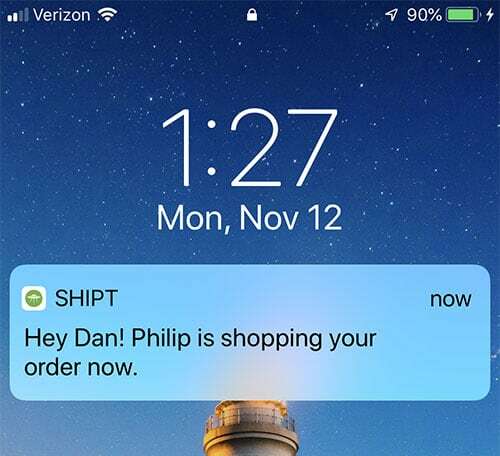 There’s no need to worry about when your groceries will show up and if you’ll be home or not because Shipt allows you to set a time period within when your groceries will be delivered or picked up. Navigating Shipt’s website it pretty straightforward. On the homepage, you’ll see a “Get Started” button which takes you to a new page for creating your account. There, you’ll be prompted to enter your email address and zip code. This will let you know if Shipt is available in your area. If not, they’ll notify you when they’ve expanded to serve you. Once your account is made and you’ve paid for your membership, you can get started with your order. You can choose to order via their website or their smartphone app, which is available for iOS and Android. Simply scroll through the digital “aisles” and begin adding items to your cart. You can purchase everything available in the store fresh produce, meat, and anything else you may need. It’s worth noting that having a cell phone is not necessary to be a Shipt customer. You can still manage your account, place orders, and anything else you may need to do via their website. Since shoppers do text you with product substitutions if something isn’t available, you can request they give you a phone call instead. It’s all about making Shipt work for you! Having our groceries delivered, at first, seemed a bit odd. We live about 10-15 minutes from a grocery store so the whole process of walking there, picking out groceries, standing in line, and walking back takes about an hour and a half each week. It’s a chore that we have always performed so it wasn’t something I’d ever explored “outsourcing” to a shopper. Then when we heard about Shipt I got intrigued. A small monthly membership fee in exchange for not having to waste around an hour and a half per week (around 6 hours per month) getting groceries? We decided to sign up. The actual process of getting started on the Shipt website and app, as explained above, isn’t complicated. Once that was done, I picked from the list of stores we could get delivery from. Surprisingly, it didn’t include all of the grocery stores in my neighborhood. I also noticed that we were out of butter so I used the Shipt “request” feature to ask our shopper to look for a specific brand that we like to use (Unsalted Kerrygold Butter). As you can see, I ordered a random bunch of items. This was on purpose so that we can get an idea of what it’s like ordering everything from meat (that has to stay cold) to paper towels. Once I reviewed my final grocery list, I choose to have it delivered between 2pm and 3pm and submitted my order. One thing to note is that there is a delivery fee of $7 for orders under $35. Luckily my order was over that so it was free. A little while later a few texts came in from the shopper regarding certain products that I selected were not in stock — hair conditioner, dish soap, butter, and the paper towel size I requested. I was pretty bummed that the store didn’t have these products but I can’t really blame Shipt or the shopper for the stores fault. The good part is that the Shipt shopper asked me if I’d like to have him find alternatives to the items that were not available. I only requested that he find a replacement for the paper towels. He provided me with two other similar options for me to choose from. It was a pretty quick and easy way to resolve the issue. Around 2:20pm I received another notification that the shopper had checked out and was on his way to deliver the items. About 10 minutes later he was at our door handing me my groceries and apologizing for the items that weren’t available. We opened up the bags and everything was in good condition. The meat we ordered was still cold and none of the other items had been damaged. A little while after the delivery I received a final email from Shipt with our receipt. 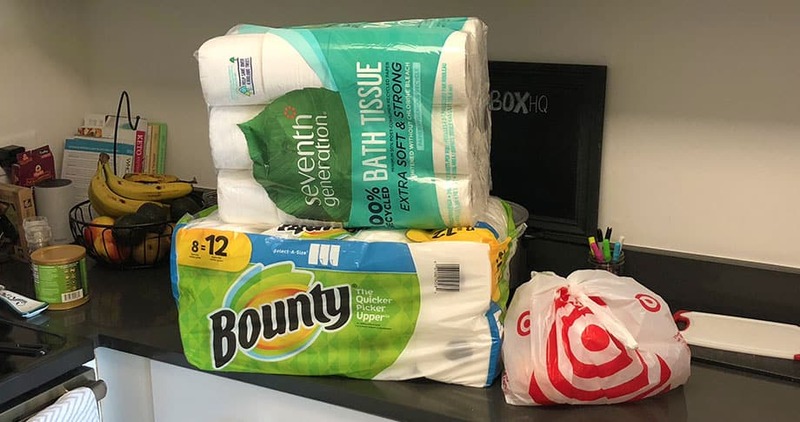 This outlined all of the items that we ordered, subtracted all of the costs from the items that were not available, and added a little extra for the bigger brand of paper towels. I checked my credit card and the correct cost was posted to our account. Not having to worry about going grocery shopping during the day is really nice. Usually we have to plan our Sunday around the fact that we have to go grocery shopping. That means we can’t always spend the day too far from our apartment. Or, if we do have something planned, we have to wake up early to go grocery shopping. With Shipt it’s a few clicks and you’re done shopping. It saves a lot of time week over week. Cumulatively we probably spend over 6 hours per month going grocery shopping. Of course this amount of time will vary per person but it’s not surprising to spend at least an hour per week grocery shopping (including driving/walking to and from store). With Shipt there’s no waste of time. You’re essentially able to buy back your time and spend it on better things. If they’re out of certain items, your Shipt shopper will work to find an alternative. This is usually the biggest hassle of actually grocery shopping. The fact that the Shipt shopper will ask if you’d like them to find a replacement for any items the store doesn’t have is nice. It’s not too expensive. Most people think personal shoppers are pricey. I know I did before signing up for Shipt. However, I was pleasantly surprised that the month price (covered below) wasn’t much more than gas to and from the grocery store would cost each month. Not all stores are available to get groceries. The big downside for us is that our favorite grocery store (Trader Joe’s) was not available to get deliveries from. The stores available will vary based on our location and Shipt is looking to expand them. 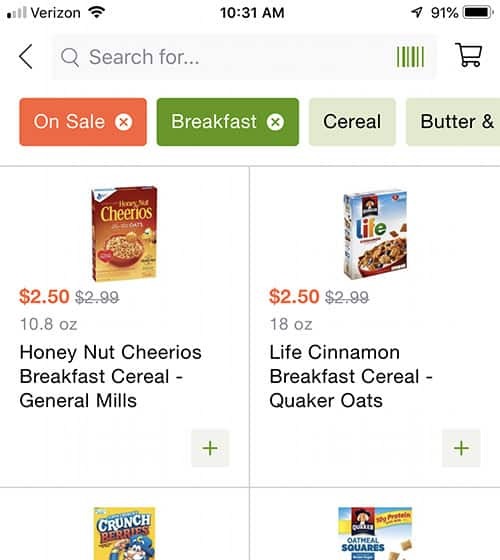 Some items may say they’re available on the Shipt site/app but not actually be available when the shopper goes to pick them up. I wish that Shipt was somehow able to see all of the currently available items at the store so it knows what items are available vs what isn’t available. That way I don’t add something to my cart only to have the Shipt shopper tell me that it isn’t available. You can’t use coupons. I don’t often use coupons at the grocery store so this isn’t a big issue for me but if you’re someone who does, this might pose an issue. They do, however, offer in-app pricing that can help you save money. If you’re looking at signing up for a grocery delivery service, you’ve probably come across both Shipt and Instacart. Technically they both provide same service for their customers — you’ll be able to receive same-day grocery deliveries. Both companies have shoppers who are dedicated to delivering your groceries, including fresh produce, meats, etc. And they’ll both keep your food safe (AKA no cracked eggs in your deliveries). One difference between the two is that Shipt doesn’t have a minimum cost for orders, making it much more appealing for those random, small orders you might make in the middle of the week. Instacart, however, requires all orders to be $10 or more. But as long as your order is over $35, neither one will charge you a delivery fee. Neither company can honor in-store sales or coupons at this time. Although, they both offer their own discounts and sales, which you can find when shopping. This will help keep some cash in your pocket since you can add those sale items to your cart when needed. Another thing worth noting is that Instacart charges “Busy Pricing,” while Shipt does not. This means that Instacart may charge you an additional fee if they experience a high demand for a delivery time. If applicable, this extra cost will be displayed during checkout once you’ve selected a delivery time. You won’t have to worry about this with Shipt. To start using Shipt, you’ll have to sign-up for a membership with their service. Currently, they have two options for their membership. You can choose between a yearly option or go for the month-to-month. If you decide to pay for the year, it will cost $99. A monthly membership costs $14 per month (this is the membership I went with). By going with the yearly option, you’ll get a savings of $69. As mentioned above, you may also incur delivery fees when you place an order through Shipt. If your order is over $35, delivery will be free. You can place smaller orders, but you will have to pay a $7 delivery charge. It’s also important to note that the prices with Shipt will vary slightly from the actual in-store prices. This is to help cover the costs of picking, packing, and processing your order. Shipt says you can expect to pay about $5 more when using their service versus shopping for yourself. When your order is delivered, you are not required to tip your shopper. It is appreciated though! If you intend to tip, you’ll want to factor that into your overall cost to see if Shipt is within your monthly budget. 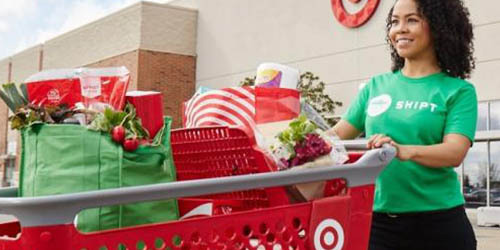 Shipt isn’t just handy for those who want their groceries delivered to their home. It’s also a great opportunity for anyone looking to start a side hustle of their very own. 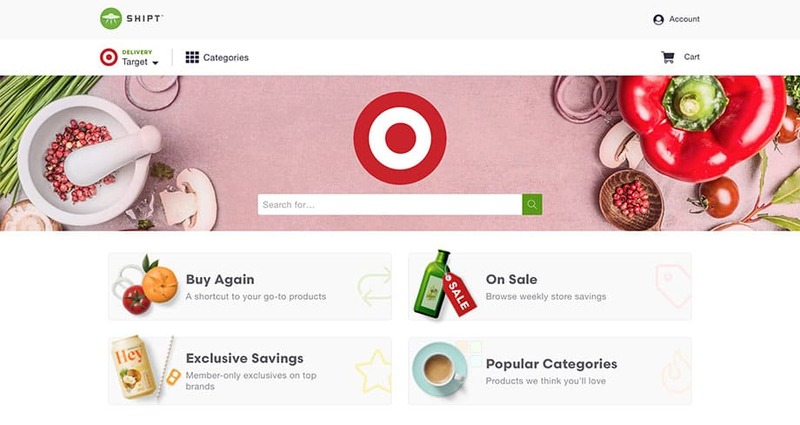 You can actually apply to become a shopper on Shipt’s website. They say that you can get paid up to $22 per hour for your shopping skills. Not bad! There are a few requirements to note for anyone who may be interested. You need to be at least 18 years of age, have a valid United States driver’s license and auto insurance, a reliable vehicle that’s 1997 or newer, knowledge of the produce selection, insulated cooler bags, and the ability to lift 40 pounds. You’ll also need an iPhone (iOS 10 or newer) or an Android phone (5.1 or newer). If you meet all of those requirements and you’re interested in working either part-time or full-time for Shipt, you can apply on their website. You’ll apply and have an interview, then you’ll be approved, and the final step is to download the app and begin taking on orders. If you haven’t tried grocery delivery before, it’s safe to say you’re missing out. Well, unless you enjoy going grocery shopping that is. However, if you’re someone like me who would rather hand the task off to a skilled shopper, you’re going to want to try it out. Overall, Shipt is a valuable service for anyone who wants to get a little time back in their day. If you dread the extra chore of heading to the grocery store each week, there’s no reason you can’t start outsourcing the task and letting someone else take care of it for you. Another plus that I enjoyed most is that your groceries can be delivered around your schedule. That means you don’t have to worry about not being home when a delivery attempt is made. The only big disadvantage that I found was that only certain stores are available at this time. They are expanding but the stores available in your specific neighborhood will vary. When it comes down to it, the pros certainly outweigh the cons for anyone who wants to check the task of grocery shopping off their to-do list. Whether you pick-up your groceries from your shopper or have them delivered, you’re saving yourself the time and hassle of doing it on your own. Have you used Shipt before? Let us know how your experience was in the comments below!